or to two significant figures, the magnitude of the impulse exerted on the projectile is 9.4 N·s. Note that since the initial velocity v0 = +12 m/s is taken to be in the positive direction, then the final velocity that rebounds in the "reverse direction" must be negative: vf = –5.0 m/s. [3.0 points.] An injured fruit bat (mass 0.60 kg) that latched onto the external fuel tank of the NASA Space Shuttle was presumed to have been carried along during a recent liftoff. 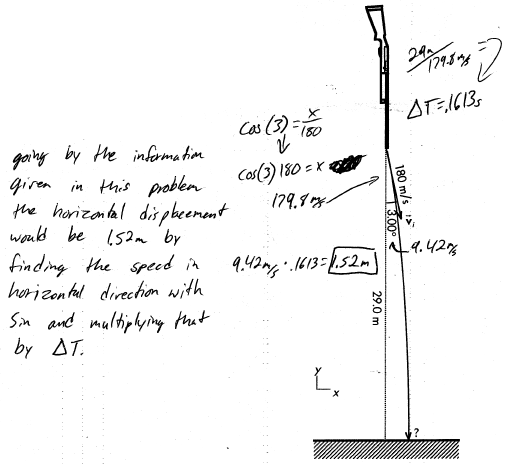 How much energy was expended by having to lift the bat from rest to a speed of 7.8 km/s (when the fuel tank is separated)? where v_i = 0. Response (A) is (1/2)*m*v_f; response (B) is m*v_f (the final momentum of the bat); while response (C) is m*v_f^2. A __________ main sequence star will eventually become a giant. A medium-mass main sequence star will become a giant when it depletes the hydrogen in its core, and the outer layers will eventually be ejected as a planetary nebula, with a white dwarf exposed at its center. On Beaches A lot of Fish Get Killed Mmmm. Oh Brother! Again, Father's Gonna Kiss Mother. That's Nasty! Oh Boy Another Fun Game of Kings, Man! Oh Boo! A Fat Goat Kicked Me. Physics midterm question: average speed equals average velocity magnitude? Can the average speed and the magnitude of the average velocity be equal? If so, give an example. If not, then discuss why not. Explain your reasoning by using the properties of position, distance traveled, displacement, velocity, and speed. Correct. Argues either case where they may be equal to each other (straight line travel with no reverse direction changes, or at rest); or argues that they cannot be equal (in general) for typically non-straight paths. As (p), but argument indirectly, weakly, or only by definition supports the statement to be proven, or has minor inconsistencies or loopholes. May confuse instantaneous with average quantities, or involve +/– directions when discussing magnitudes. Nearly correct, but argument has conceptual errors, or is incomplete. At least recognizes average speed is magnitude of average velocity, or that straight line travel is required, but may interpret "average" as adding multiple quantities and dividing by number of items. A shotgun fires a large number of pellets downwards, with some pellets traveling very nearly vertically, and others spread out as much as 3.000° from the downwards vertical direction. Assume that the initial speed of these pellets is 180.0 m/s. Ignore air resistance. Find the maximum horizontal displacement that these pellets will hit the ground, as measured from the vertical. Show your work and explain your reasoning. Correct. 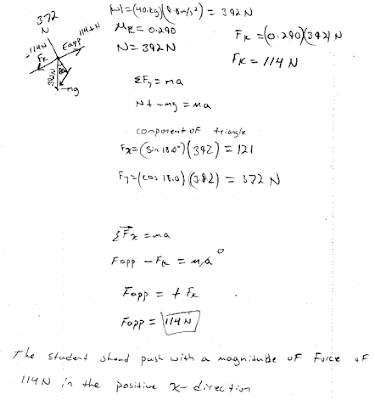 Finds x- and y-components of initial velocity: v0x = +9.42 m/s, v0y = –179.8 m/s. 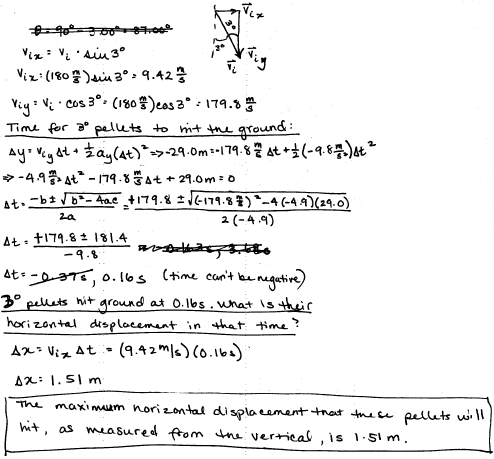 May either use quadratic equation or time-eliminated kinematic equation along the y-direction to respectively find the elapsed time or the final vy when the pellet hits the ground, which can then be used to find the final horizontal position x where the pellet hits the ground. Nearly correct, but includes minor math errors. Typically solves for elapsed time correctly, but inadvertently uses v0y instead of v0x in calculating the horizontal distance traveled. Nearly correct, but approach has conceptual errors, and/or major/compounded math errors. At least attempts to solve for elapsed time before substituting into x = v0x⋅t. Implementation of right ideas, but in an inconsistent, incomplete, or unorganized manner. Still has a methodical approach based on the kinematic equations of motion, or may estimate distance from appealing to trigonometric relations between initial angle, y and/or x, which would only be true if ay = 0. [20 points.] 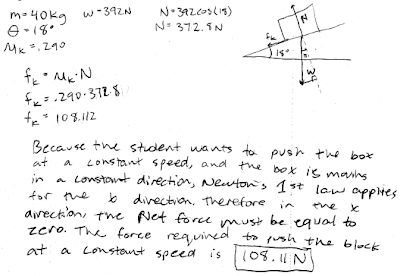 A Physics 205A student wants to push a 40.0 kg box up a 18.0 degree ramp. The coefficient of kinetic friction between the box and the ramp is 0.290. 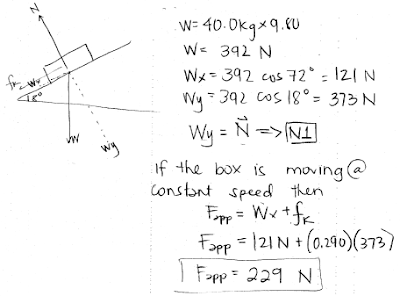 With what magnitude force parallel to the ramp should the student push on the box so that it moves up the ramp at constant speed? Correct. Resolves weight into w_x and w_y components (parallel and perpendicular to ramp, respectively). Then applies Newton's first law in both x- and y-directions to find normal force of ramp on box, and applied force on box (which is equal to w_x + f_k). Nearly correct, but includes minor math errors. Typically uses N = w = m*g instead of N = w_y = m*g*cos(theta), otherwise methodical application of Newton's first law along x-direction; or sets F_app = f_k only, neglecting w_x component, but has N = w_y correct. Nearly correct, but approach has conceptual errors, and/or major/compounded math errors. Some attempt at resolving w into components on a substantive free-body diagram, and methodical application of Newton's first law. May have both of the two errors described in (r). Implementation of right ideas, but in an inconsistent, incomplete, or unorganized manner. Serious attempt at free-body diagram or application of Newton's laws. Which star is the hottest? (C) M5 main-sequence star (red dwarf). Using the OBAFGKM spectral type mnemonic, or reading off of an H-R diagram (provided on this quiz), the B0 main-sequence star is the hottest, followed by the A0 white dwarf, F5 supergiant, and M5 red dwarf. Apparently students chose the F5 supergiant for being the largest star, or the A0 white dwarf for being "white-hot" (when in fact the B0 main-sequence star would be a hotter white-, or even blue-hot in appearance). A 5.0 kg ball is moving with a speed of 3.0 m/s in the +x direction, and then hits a wall and bounces back with the same speed in the –x direction. What is the sign of the impulse exerted by the wall on the ball? The impulse exerted by the wall on the ball is the force exerted on the ball multiplied by the time elapsed during wall-ball contact, which will result in a vector pointing in the negative direction. Also the impulse can be calculated from the initial-to-final change in momentum m*v_f - m*v_i = (5.0 kg)*((-3.0 m/s) - (+3/0 m/s) = -30 N*s, which also points in the negative direction. (A) less luminous than the giant star. (B) cooler than giant star. (C) more luminous than the giant star. (D) hotter than the giant star. From Wien's law, the red dwarf star and the giant must have the same temperature, because they have the same color. From the Stefan-Boltzmann law, for two stars of the same temperature, the less luminous star must be smaller in size. 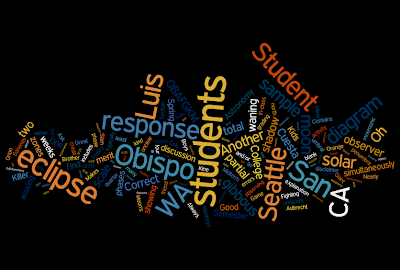 Wordle.net tag cloud for this blog on March 15, 2009 (www.wordle.net/gallery/wrdl/653929/Untitled). 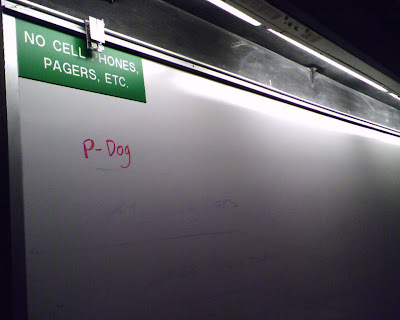 Student graffiti ironically captured on a cell phone, March 4, 2009, Science Forum 2402, Cuesta College, San Luis Obispo, CA. [20 points.] At 10 AM, you are currently observing a total solar eclipse in San Luis Obispo, CA. Suppose you decided to call a friend who lives in Seattle, WA, which is north of San Luis Obispo, CA. 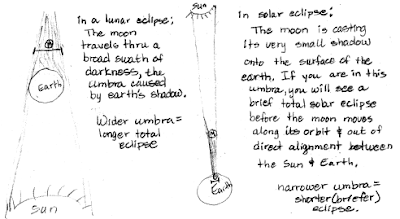 Explain what kind of eclipse (if any) your friend would be able to see in Seattle, WA at the same time, or why not, using a diagram of Earth, the moon, and shadow zones. Assume that the skies are clear in both San Luis Obispo, CA and Seattle, WA. Correct. Draws a diagram clearly showing the umbral and penumbral shadow zones (in space and/or projected onto Earth's surface), showing San Luis Obispo, CA within a very small umbral "dot," and Seattle, WA either in or outside of the penumbra, with corresponding correct discussion of observing a partial solar eclipse, or no eclipse at all simultaneously. May have a technical error with showing an annular eclipse rather than a total eclipse, with San Luis Obispo, CA in the "negative shadow" (the antumbra) past the apex of the Moon's umbra. Contains right ideas, but discussion is unclear/incomplete or contains major errors. 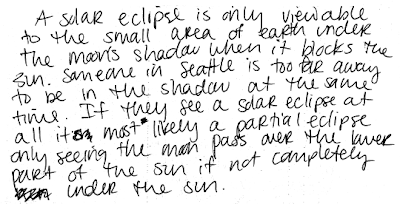 Discusses a partial solar eclipse in Seattle, WA, with little or no diagram, but with plausible arguments regarding scale of Sun, the Moon, and shadow zones. Limited relevant discussion of supporting evidence of at least some merit, but in an inconsistent or unclear manner. Typically says Seattle, WA observer will experience a total solar eclipse simultaneously with or subsequent to the San Luis Obispo, CA observer, or incomplete diagram of some merit. Starting from waxing gibbous, the phases the Moon will go through in the two weeks would be full, waning gibbous, third quarter, and waning crescent (which is "halfway" around the Moon's orbit, approximately two weeks later). Thus out of the above choices (new, first quarter, waxing crescent, waning gibbous), the Moon would only go through one (waning gibbous). Oh Baby! Another Fricken GREAT Kylie Monogue Single! Oh Blasphemy! Another Failing Grade Kills Me! [20 points.] Why does an observer see a total lunar eclipse lasting much longer than a total solar eclipse? Defend your answer using a diagram showing the positions of an observer, Earth, the moon, and shadow zones. Correct. The size of the umbra created by the Moon makes total solar eclipses last only a few minutes, as the umbral spot passes quickly over an observer's position. The size of the umbra created by the Earth makes total lunar eclipses last a few hours, as it will take that long for the Moon to pass through this shadow zone of the Earth. 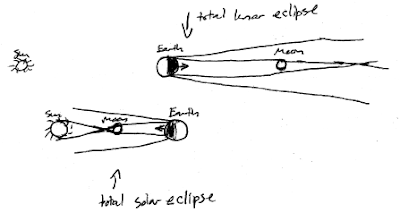 Has a correct explanation, and clear, correct diagrams of a total solar eclipse and a total lunar eclipse demonstrating the effect of umbra sizes. Nearly correct (explanation weak, unclear or only nearly complete); includes extraneous/tangential information; or has minor errors. Typically incomplete or inconsistent diagrams. Contains right ideas, but discussion is unclear/incomplete or contains major errors. Diagrams problematic, but at least recognizes importance of sizes of umbrae. Limited relevant discussion of supporting evidence of at least some merit, but in an inconsistent or unclear manner. Plausible arguments involving varying orbital speeds, precession of nodes, varying orbital distances, with some attempt at diagrams. 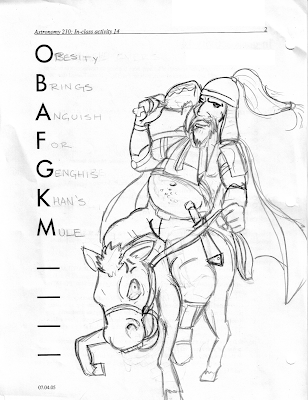 Or substantively correct diagrams only. Where could you set up a telescope in order to detect near infrared light? (A) On top of high mountains. Since the gray bar for near infrared light does not go all the way down through the atmosphere, this type of electromagnetic radiation cannot be detected at sea level, but will be at higher elevations (as well as in space). Waxing crescent Moon and Venus on February 27, 2009, taken from the San Luis Obispo High School parking lot, San Luis Obispo, CA. Two views of the projector of the San Luis Obispo High School planetarium, San Luis Obispo, CA. The San Luis Obispo County Regional Airport silhouette on the eastern horizon of the planetarium. Bishop's Peak, Cerro Romauldo, Camp San Luis Obispo (CSLO), Hollister Peak, Morro Rock, and the Morro Bay Power Plant silhouette on the western horizon of the planetarium. Education research: Rudolph Presentation "A National Study on the Effect of Interactive Learning in the Astro 101 Classroom"
Dr. Alexander L. Ruldolph (Associate Professor of Physics, Physics Department, California State Polytechnic University, Pomona) presents findings on peer instruction and lecture tutorials in introductory astronomy classes ("A National Study on the Effect of Interactive Learning in the Astro 101 Classroom") on February 26, 2009 at California Polytechnic State University, San Luis Obispo, CA. Photos by Cuesta College Physical Sciences division instructor Dr. Patrick M. Len. Radio frequency iClicker electronic response units. Dr. John Keller (California Polytechnic State University, San Luis Obispo) introduces Dr. Rudolph. Dr. Rudolph summarizes how instructors can get involved with implementing and evaluating interactive learning techniques in introductory astronomy courses. Dr. Rudolph answers questions from the audience at the end of the presentation, facilitated by Dr. Keller. A 5.0 kg book on a horizontal table is initially at rest. The coefficient of static friction is 0.33. The coefficient of kinetic friction is 0.27. What is the magnitude of the minimum horizontal applied force required to make the book start to slide? Weight force of Earth on book (downwards, magnitude w = m·g = 49 N). Normal force of floor on book (upwards, magnitude N = 49 N). Because the suitcase is stationary in the vertical direction, these two forces are equal in magnitude and opposite in direction, due to Newton's first law. 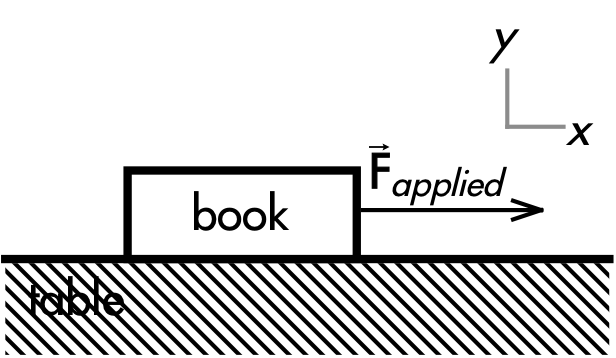 Friction (static or kinetic) force of floor on book (to the left). External applied force on book (to the right). such that the applied force Fapplied magnitude must exceed 16 N in order to unstick the book. vy2 – v0y2 = 2·ay·y. of which the magnitude (speed) is 17 m/s to two significant digits. The secondary mirror of an optical telescope can be "warped" in real-time in order to compensating for the poor seeing caused by atmospheric turbulence, thus increasing the effective resolving power. What power of an optical telescope is affected by the focal length of the primary mirror? The magnification of an optical telescope depends on the ratio of the focal lengths of the primary lens (or mirror) and the eyepiece. The light-gathering power and the resolving power of an optical telescope depend only on the properties of the primary lens (or mirror), specifically the area and diameter, respectively. The eyepiece of an optical telescope is replaced by an eyepiece with different characteristics. This change affects the __________ of the telescope. *Corrected from an earlier typographical error, as per student comment. Cuesta College students taking Chemistry 210FL (introductory chemistry) at Cuesta College, San Luis Obispo, CA use clickers (Classroom Performance System, einstruction.com) during lecture. Through the fifth and sixth weeks of instruction, students were given the opportunity to evaluate the instructional components of the course, and the use of clickers in an online "Learning Resource Survey" hosted by SurveyMonkey.com. Questions from section II are adapted from the Student Assessment of Learning Gains (SALG) survey (developed by Elaine Seymour, Wisconsin Center for Education Research, University of Wisconsin-Madison), and questions from section III (III.1, III.3, III.5, and III.7) were adapted from a "Clicker Attitude Survey" (N. W. Reay, Lei Bao, and Pengfei Li, Physics Education Research Group, Ohio State University). "I feel that the interactive learning among other students has been the most helpful. The lectures in class have been very clear and helpful in learning the concepts." "I like using them, it is a quick way to get feedback on how I am doing on that particular subject. I think they are helpful to me in this class." "I like that we get immediate results with the clickers. 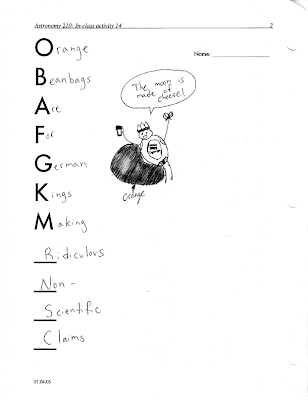 "they are a neat idea, but scantrons are more cost effective. The cost of the clicker and registering it probably could have bought all the scantrons needed for the two years at Cuesta, and then some." "Clickers are too expensive, we don't get nearly enough use out of them, not resell-worthy! I do believe: Clickers should be used as an alternative to paper and/or other supplies but in our class I have noticed that there is still a high rate of paper waste -- we used the printed answer sheet with A,B,C,D to answer in class questions, Also our most recent test had an unnecessary cover sheet, and the teacher uses paper instead of the projector to write pages and pages of notes every class. On top of all that, we had to buy over $200.00 worth of other supplies for this class. If the entire school promoted the use of clickers, i think they would be a great alternative learning method and the school would save money. If we are going to use clickers then we should be dedicated to using them, and incorporating them into as many things possible." 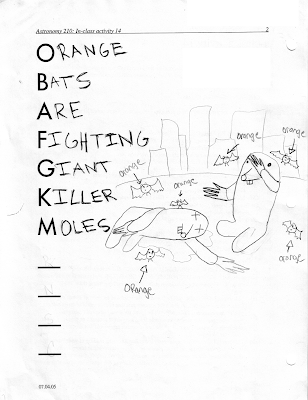 "Clickers are pretty helpful and I like that we get to work together with classmates. It really helps me fully comprehend how to do problems." 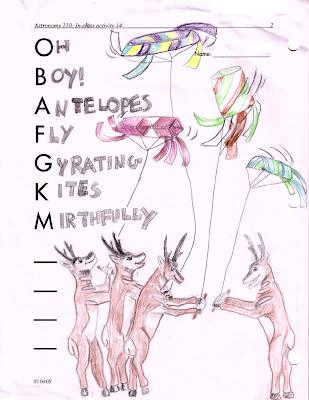 "The clickers were a very good way of quizzing to see what we know, but without the tense feeling of taking a test. I think there should be more clicker questions asked throughout the lecture, if time permits." "Would be much more simple to just pay your membership fee when you buy your clicker, with your books. Not everyone has a credit card to pay for it online. Plus, it feels like your getting nickle and dimed. Money for ICH, money for labs, money for text, money for clicker, then money to pay for a membership." "I think that the FAL actually needs to be longer because so far there has been a lot of info to cover and you have to do the homework anyway." "I don't feel that the clickers really add much to the class except that they're fun buttons to push every now and again. In terms of extra learning experience, it doesn't help." "I appreciate using clickers. My instructor (Kahane) was very helpful in explaining how to use the clickers." "The only bad thing about the clickers is how expensive they end up being, especially if they will not be used in future classes." "I think that they are not necessary, and VERY expensive for a college student. I beleive the concept is good and could be very helpful but it just doesnt seem necessary. We could do the same thing with peices of paper or raising our hand." "Expensive to buy and register with no sell back option or any use in the future. Other schools use similar thing but is already in the classroom at every seat on a cord." "I think that the clickers are fun! execpt when i forget mine... then i feel left out." "i understand the clickers help the teachers to recieve immediate feedback and how they are beneficial to the class, i just don't like the fact that i had to buy something additional for the class and then pay again to register it. i felt like i was being nickled and dimed in a class that was already very expensive." "I think the usage of clickers is positive and beneficial, but I do think they are a little expensive, and would be better if we could sell them back or reuse them for other classes." "I think that the use of clickers is a good way to make sure students are keeping up on regular reading and assignments. I think how we can get the grades immediately and not waste paper. Talking about the clicker question also helps build relationships with other students in the class." "clickers help the teacher and the student interact and know what each other was thinking. Trying to take a survey about any thing is a click away and we all can see the results fast. Some studnts wont ask a teacher a question even if they are confused. the clicker seems to side step this problem because clicker cause you to talk to your neighbor and get feed back. I like using the clickers in class because I felt like they were kind of mini-tests, I felt like they were exercising what I had just learned of what a should have been learning. It keeps me on my toes." "I really like the clickers, not only because it's a faster way of answering multiply choice questions, but also because we are given a chance to discuss the answers with people around us." "It is a huge waste of money for us students to use that when we simply could just go over our papers out loud as a class. We have to pay for a lot of other stuff during school and the clicker is very unnecessary." "I think clickers are a good tool to make sure students are doing homework and keeping up with class, however I don't feel they should be used in every class period. To me they should be used about once a week. In the end I don't mind them, I just feel that if I accidently miss class than I am going to miss points and I really am trying hard not to miss any points." What power of an optical telescope is affected by light pollution? The light from natural sources (the Moon), and from man-made sources (skyglow from streetlights) affects the ability of optical telescopes to see dim objects, thus affecting its light-gathering power. Cuesta College students taking Astronomy 210 (introductory astronomy) at Cuesta College, San Luis Obispo, CA use clickers (Classroom Performance System, einstruction.com) to engage in peer-interaction ("think-(pair)-share") discussion questions during lecture. Through the fifth and sixth weeks of instruction (third and fourth weeks of using clickers), students were given the opportunity to evaluate the instructional components of the course, and the use of clickers in an online "Learning Resource Survey" hosted by SurveyMonkey.com. Questions from section II are adapted from the Student Assessment of Learning Gains (SALG) survey (developed by Elaine Seymour, Wisconsin Center for Education Research, University of Wisconsin-Madison), and questions from section III (III.1, III.3, III.5, and III.7) were adapted from a "Clicker Attitude Survey" (N. W. Reay, Lei Bao, and Pengfei Li, Physics Education Research Group, Ohio State University). "Did I do this survey already, when you first announced it, or is this another one? The clickers are a great benefit for both the student and teacher. The student can print the clicker questions prior to class, and circle the answers in pencil, then correct them during lecture. This is a great study tool for the tests. For the teacher, they have immediate feedback and can better manage their lecture time. 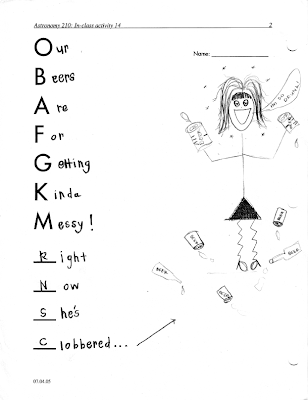 They can devote more time, or less time to a topic depending on the level of understanding the students are showing." "I really do enjoy the clickers in class. It really is away of making me stop and really think over what I just learned and just how to apply that information to the questions asked. I would enjoy having the use of clickers in other classes like History." "Clickers helped make the answers to questions clear. It helped the teacher see when the class wasn't understanding and gave many opportunities for students to discuss with each other the answers. 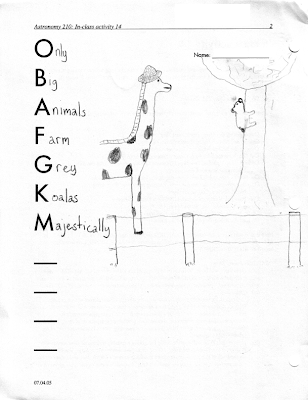 It promoted discussions and made class interaction a necessity." "I like the idea of clickers because you get to see how much the class is understanding overall." "Clickers were fine in class because the instructor was able to help you then and there with things you had questions about. Sometimes I think though that some students were just messing around and purposefully clicking on wrong questions with the i don't know answer (i heard a kid next to me mention he was gonna click that option)." "These are really cool devices!!" "I like the clicker questions but when they are the first things that are done in class it is difficult to understand the marerial. I realize that we are supposed to read the chapter ahead of time but even when that has been done it is still difficult to answer questions about the lecture before the lecture. Same thing with in-class activities." "Suggest to people they keep their clicker in their car or bag as to not forget it for class." "I enjoy using clickers in class, they are an interactive learning tool that is very helpful"
"I think it's helpful at the end of lectures to use clickers but when we do it at the beginning before we have heard the lecture the questions we have to answer are sometimes difficult and i don't understand what we're talking about until the class is almost over or until the next class. I do read the chapters before class and for me, it's easier to see a powerpoint presentation then answer a bunch of questions." "I like using clickers, but they are way too expensive." "This was the first time I have used clickers in a class, for those that are finacially strapped it was a burden. 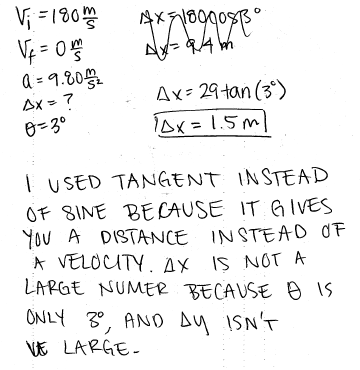 But using them during class did help with some lecture that I was confused on." "Never used a clicker before. Found it very useful in my learning. Can also see how helpful it is to the instructor in letting him know how well we are understanding the material." "Clickers nice unless one has misplaced his or her's/ the batteries die." "I think clickers are very helpful, but I would like the information to be described in greater detail before we begin the group projects, or are asked to answer clicker questions." "the clicker questions arent that bad its just hard to get them to read so u end up pushing the button a hundred times." "Clickers are a fun way to participate and interact in class." "I think it's great that everyone has the opportunity to respond. 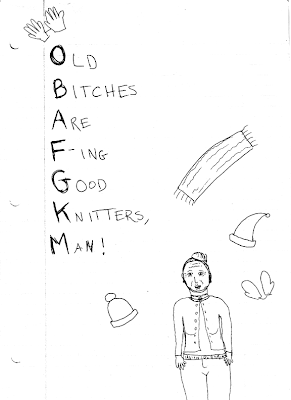 It's good that the instructor knows where students stand. A downside for me is that I'm often in the minority of those who don't get it. I've never had such a hard time with a class & it's bothering me immensely, so I'm sure that's affecting my ratings." "Clickers are a fun way to be active during class and it helps students try to answer study questions on their own, and if they are wrong they recieve information as to why a different answer is correct." "I like using the clickers in class. It's a good way to participate without having to be called on unwillingly. It also lets you know that other people may answer the same way as you because a common misconception. I also really like the clickers because it is sometimes easier to have a student explination rather than a highly scientific explination." "This was my first time using a clicker in class. I know that if we spent more time using the clickers then I would perform better on the quizzes. So in conclusion I believe we do not spend adequate time using the clickers. More Clicker-Time please!!! -Star Geek"
"I think using clickers is a good way to get the whole class involved without having to use up paper, its a more fun way to take a quiz." "Clickers are a fun and interactive way to participate in class." Cuesta College students taking Physics 205A (college physics, algebra-based, mandatory adjunct laboratory) at Cuesta College, San Luis Obispo, CA use numerical keypad clickers (Classroom Performance System, einstruction.com) to enter homework and to engage in peer-interaction ("think-(pair)-share") discussion questions during lecture. "They are a good way to get articipation points and are fun to use." "Clickers are very useful due to the anonymity given to the people with wrong answers, or right answers. The embarassment and destruction of the ego of a wrong clicker answer pales in comparison to that of a wrong answer said outloud." "I feel that the class lecture is way to short for the amount of information that is needed to complete the homework. I find myself very lost when it comes to the homework questions, and had to get a tutor to teach me instead of learning how to complete the homework questions in class." "i think clickers is really cool and easy to use. like to see more classes using it." "All the technology in the world can't make a person learn." "The instant feedback in class is very helpful!" "Clickers make the class room environment fun, but they do not teach the concepts to be successful in the course." "The clickers help during the lecture period. It gives the students real participation points and helps me be more interactive with my classmates." "I like the clicker because I don't have to worry about turning in well organized written homework. I can scribble out a problem cross things out and make a mess of it, but that's OK as long as I figure out how to do it and enter the right answer using the clicker. Getting the problem correct and understand the concept to me is the most important part of homework and in class participation not whether you took the time to clean up your work and make it presentable. There are times where showing your work is important but there are other times when it's just busy work that wastes time. I like the clicker." "I like using clickers and discussing my answers with the other students in the class, it helps me get a better grasp on how to go about solving the problems. However I think it is maybe more helpful to me when the instructor shows us how to do a few example problems step by step on the board." "I like the clickers, but I think there is a lot of set up time for it, and going over collecting answers and stuff. But for collecting HW there perfect, because it gives us that time to talk to classmates, and to get everyone ready for class by getting stuff out. I have taken physics before, but a compliant I hear is you just do a lot of example problems, and not actually explain/lecture. I am enjoying the class please do not get that wrong though." "I wish you would lecture more rather than just asking clicker questions. I personally learn better when the teacher actually does example problems on the board instead of asking clicker questions." "The in class clicker questions were very helpful. 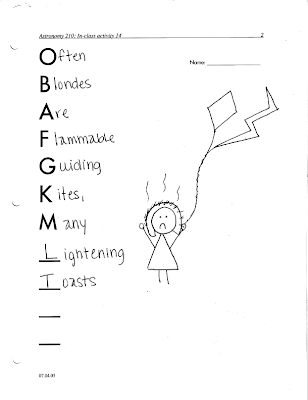 The homework collection using clickers discourages me from doing the homework at home." "I like using the clickers, it lets us interact in the class." "I think using the clickers for participation points is a good idea. I would prefer to have formals and various types of problems demonstrated more though because it seems like we only go over the one same type of question from the homework most of the time. More explanation and discussion about the topics (why things work the way they do) would be more helpful than just only having a few basic questions on the clicker be the lecture." "I enjoy using the clickers because they are somthing different and it made class a little different, however, I feel it can detract (generally) from the completness of a lecture. I very much like having sample problems broken down up front on the board and the system used to solve each example implemented with step by step actions to help guide a students mind to gain intuative abilities, espcially when it comes to physics problems. I am comming to realize that what we are doing is not complecated mathmatics but, instead of using clickers for conceptual reasoning, simple, real life examples might be utilized to communicate the level of what we are really talking about. I have been enjoying this class so far, just somtimes when it comes to the clickers most obvious at times, seems least obvious...though, overall, thumbs up p-dog!" "the idea of the clikers is good but i felt like it took away from all other type of lecture. all we do is clicker questions in class, and i fell that it takes away from you lecturing on how to do it." "Some student that are in the student disabilities program may have trouble with it, whether it is a student who cannot see, who process information longer, and other things." 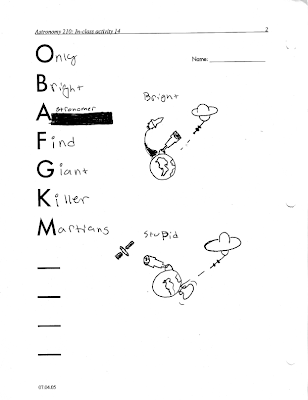 "It's an efficient way for collecting, grading and posting points from homework. I like anything that makes it easier for me to see my current standing in the class. Being able to see homework and participation points online is wonderful. I believe that practice problems are the best way to understand class material and that assigned homework is the best way to get students to do problems. If clickers facilitate that for you, the instructor, then keep using them!" "I like using the clickers, I think it is great how quickly information can be obtained and it gives a chance to take more time on questions that the class is having trouble with. I recommend using clickers in classes structured this way."